How e-Prescribing (e-Rx) Improves Patient Care? Physicians have been using paper prescriptions for decades. But now it is time that healthcare providers take full advantage of the latest upgrades in electronic prescribing (e-Rx) Electronic Medical Records (EMR) Software technology to improve their practice’s workflow and to offer patients modern ease that they will acknowledge and remember while making the next appointment. e-Prescribing (e-Rx) software helps doctors easily meet MIPS requirements under the MACRA Quality Payment Program. When you start using e-Prescribing EMR/PM software, then you will definitely recognize its value. Following benefits of using e-Rx help physicians improve patient care. Doctors are quite known for illegible handwriting, and when the patient cannot read the instructions or the pharmacist gets mistaken and gives the wrong drug then this can result in some really worse and risky medication error. High-quality care means taking any measure whatsoever to make sure patient safety via prescription accuracy. e-Prescribing (e-Rx) EHR software technology can help minimize errors and redundancies. For example, the ability to view all of your patient information, including medication history, without switching screens, and even on your mobile device, make patient care fast and seamless. Being a provider, your attention gets pulled in many different directions each day. Automated features in e-prescribing tools can reduce the workload of administrative tasks and provide you with more time to focus on your patients. The feature to track medications and know whether prescriptions were picked up make providers know if patients are following through during the time of their treatment. e-Prescribing (e-Rx) software helps your patients and practice save money. Increased medication compliance for chronic diseases can help reduce costs in the healthcare system overall and potentially reduce costly health problems. When e-prescribing (e-Rx) software technology allows providers to see what other physicians are prescribing. It also allows them to view the patient’s medication history so that they are better equipped to help decrease fraud and abuse from duplicate prescriptions or utilize someone else’s prescription. The technology must offer easy insurance verification to help you meet regulatory compliance issues. With easy access to coverage information, providers can determine early on if there is a problem in the fulfillment process. The drug can be switched out and a different one can be chosen based on the eligibility of the patient. 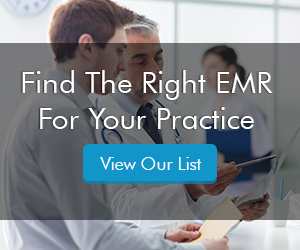 The uses of e-prescribing Practice Management (PM) software provide you help to improve your patient education, reducing overall healthcare costs while assisting you in providing quality patient care.